October 25, Zagat named its "2012 America's Top Restaurants" and Victoria & Albert's at the Grand Floridian Resort and Spa was named the top dining choice in Orlando. Other achievements for Victoria & Albert's include Zagat service, food and décor. As well as AAA Five-Diamond Award, one of only 55 restaurants recognized. 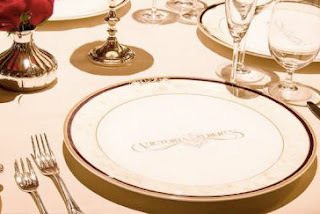 This is the 11th year in a row that Victoria & Albert's has received this honor. Victoria & Albert's service contemporary American cuisine developed by Executive Chef Scott Hunnel. In addition to it's intimate dining room it offers the Queen Victoria's Room and Chef's Table for a more elegant, exclusive dining experience.